The story of widowed English aristocrat Eleanora Rosewood, her Russian valet Sacha Valentin, and their quest to take down the covert evil organisation known as Dominion. Eleanora Rosewood is a headstrong young woman with a progressive view of world affairs. When her husband is killed in a tragic accident, she learns that he was involved in a secret society bent on perpetuating the oppression of the weak and the poor by any means necessary. Sacha Valentin is a burly Russian sailor who is as chivalrous in his regard for others as he is cavalier in his regard for himself. Living in self-imposed exile from his motherland, he is lured back to face the temptations of the world of men when he is recruited to Lady Rosewood’s cause. 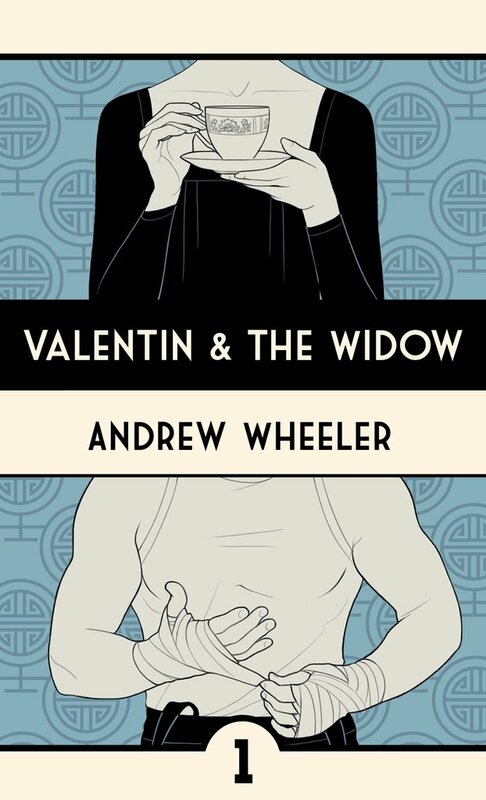 A pulp adventure serial set in the 1920s, Valentin & The Widow was originally serialised as a weekly audio drama. It’s now being collected in print by Chapterhouse Publishing, with the first two adventures, “The Mandrake Machine” and “The Flowers of Mrs Moore”, collected in Volume One, on sale now for just $9.99. Volume Two, collecting Thrones & Principalities and Paris Pas De Deux, will be released in 2018. Powered by WordPress. Book Lite theme by WPshoppe.